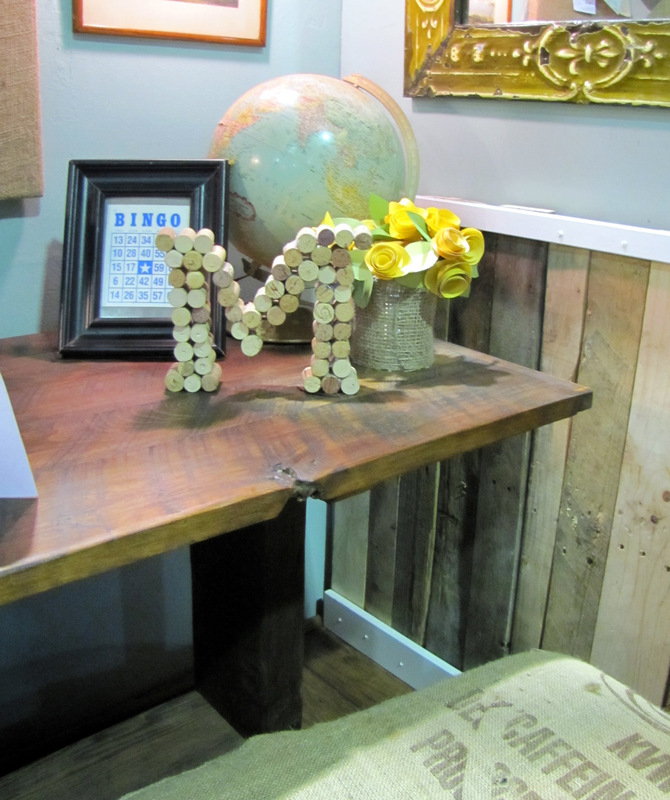 was the monogrammed cork “M” I made for a desk accessory. I was totally surprised at how many comments it got. It was a last minute project I came up with when I realized I needed a few accessories for the desk. Since it was such a hit, I thought I’d show you how to make your own. Step one: gather all you girlfriends and drink a few bottles of wine. Step two: print our a large letter on the printer. 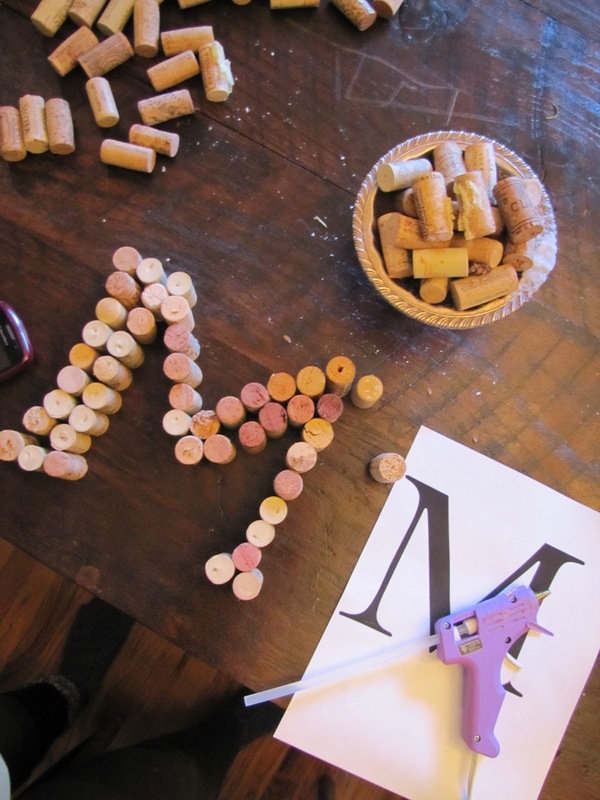 Step: Three: Use the paper letter as a guide and hot glue all your corks together. I know you really didn’t need a tutorial to figure this out, but I gave you another reason to have another glass of wine tonight. Wow, it must be a sign that you posted this today. 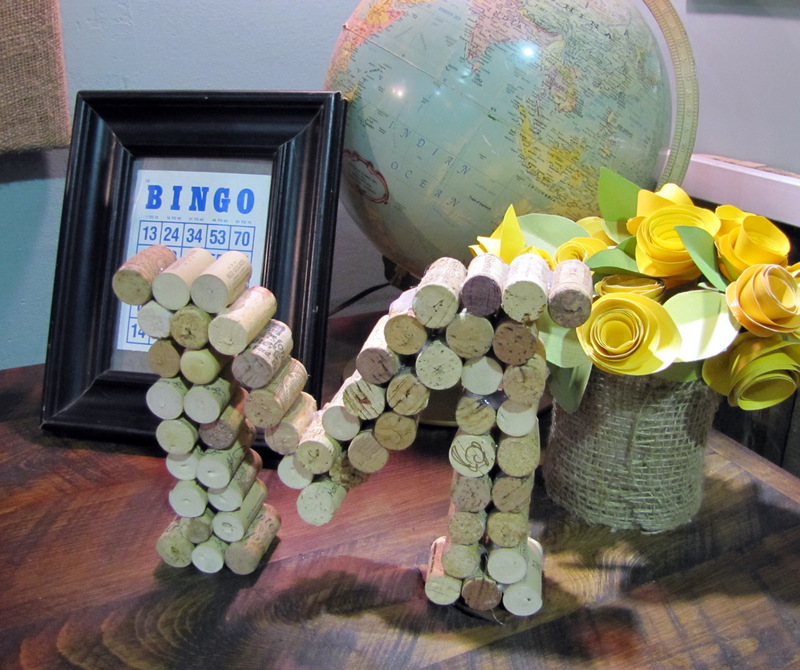 While walking through my kitchen, having just been working on a few other craft projects, I glanced at my jars filled with corks and thought about doing something creative with them. What a great idea! 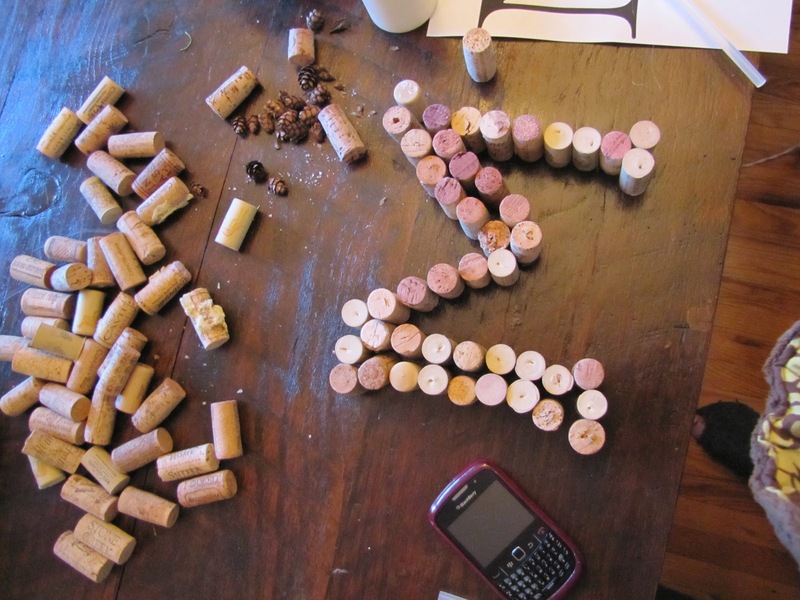 I've seen lots of cork projects but not one like this! thanks for sharing!